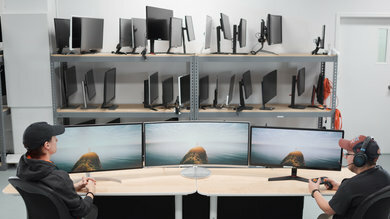 Curved monitors have just started to catch on, despite being widely available for a few years. 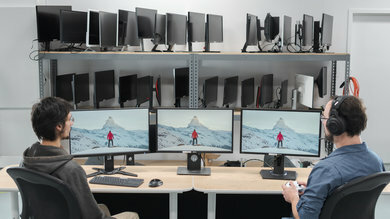 As monitors have grown in size, it has become more and more difficult to maintain an accurate image across the entire screen when sitting up close. 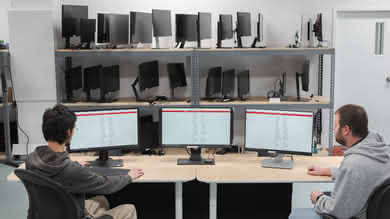 Curved monitors were one of the solutions monitor manufacturers came up with: a gentle curve brings the edges of the screen into your field of view, so the image remains accurate and uniform, even if you are sitting close to a large screen. 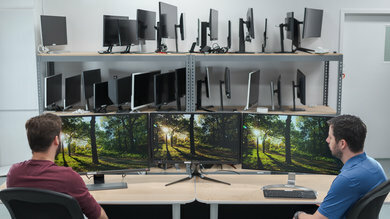 We've reviewed 59 monitors so far and below you'll find our picks for the best curved monitors that are available for purchase in 2019. 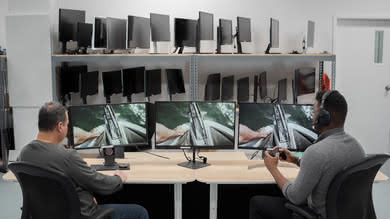 See also our recommendations for the best curved gaming monitors, the best ultrawide monitors, and the best gaming monitors. 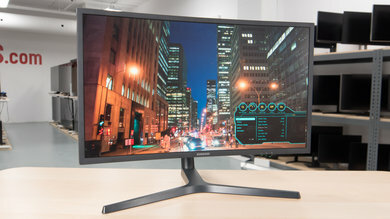 The Samsung C27HG70 is the best curved monitor that we have reviewed so far. 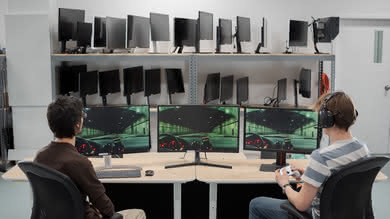 Gamers will love the extremely fast response time, PWM flicker-free backlight with optional BFI, and lightning fast refresh rate with FreeSync support. 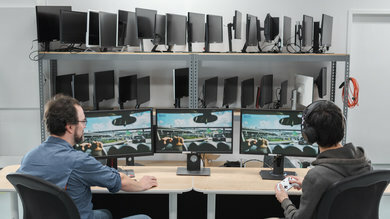 It has excellent low input lag, ensuring a responsive gaming and PC experience. It has a sharp 1440p resolution and supports HDR, which is a nice touch, and has a full array local dimming feature, although this doesn't add much as it isn't very good. Dark room performance is a bit better than average, as the monitor has a very good native contrast ratio, but poor black uniformity. 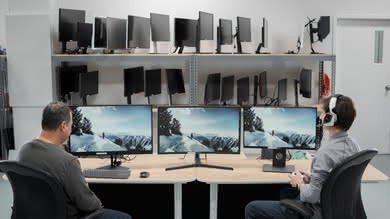 Unfortunately, the VA type panel limits the CHG70's viewing angles, compared with the more common IPS panels used in most popular monitors. 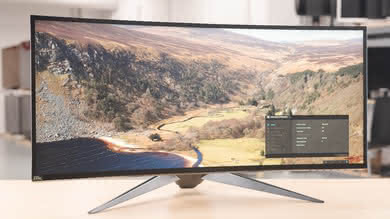 Overall, it is a very good monitor that should please most users, and it is also available in a 32" size. 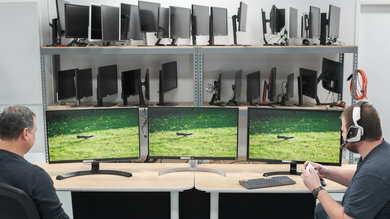 If you like the Samsung CHG70, but would prefer a larger screen, check out the LG 34UC79G-B. 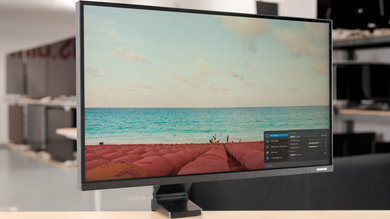 Like the CHG70, the 34UC79G-B has a great 144 Hz refresh rate, and it supports FreeSync, which is great. The 34" screen has a more subtle curve than the CHG70, but has much wider viewing angles, great for some quick side-by-side co-op gaming. Unfortunately, unlike the CHG70, the 34UC79G-B doesn't look as good in a dark room, and it doesn't support HDR. 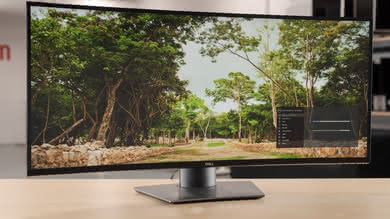 If you prefer a larger screen, the Dell Alienware AW3418DW is the best curved ultrawide monitor that we have reviewed so far. This 34" curved monitor delivers a truly immersive experience, with wide viewing angles, a fast 100 Hz refresh rate, and Nvidia G-Sync support. 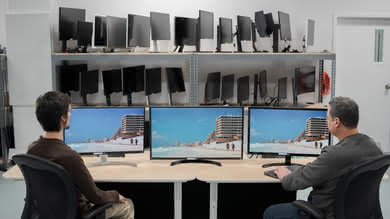 The 34", 3440x1440 screen is outstanding for multitasking, as it allows you to place two nearly full-sized windows open side-by-side. This monitor is great for gaming, with an extremely fast response time, slightly better than the CHG70, and a flicker-free backlight. It also has excellent low input lag, great for a responsive gaming experience where every millisecond matters. 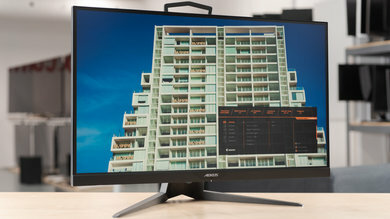 The Samsung CHG70 is better at displaying colors, with better gradient performance and HDR support. But overall, the AW3418DW is a very good ultrawide monitor with great gaming performance and a wide aspect ratio, great for office use. 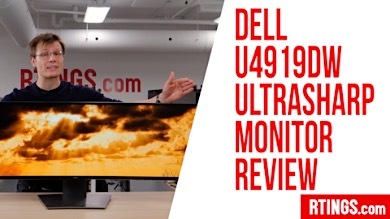 If you like the Dell Alienware AW3418DW but would prefer something even larger, check out the Dell U3818DW. 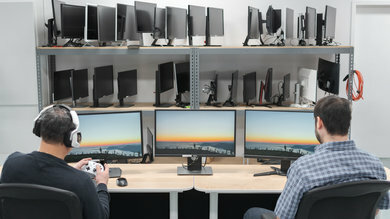 Whereas the AW3418DW is better for gaming due to G-Sync support and a faster refresh rate, the U3818DW is better suited for office use with the larger, higher resolution screen. 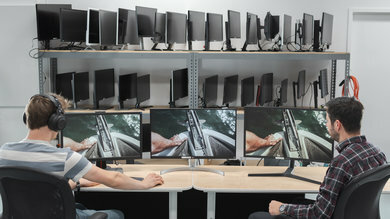 The U3818DW also has a slightly more subtle curve, and it has a unique connection system that allows you to connect and control two computers at once, even with only one keyboard and mouse. 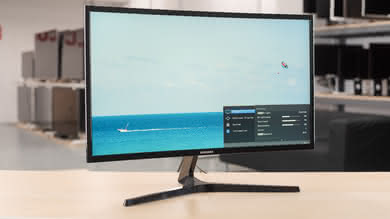 If you're looking for a curved monitor on a budget, check out the Samsung CF398. 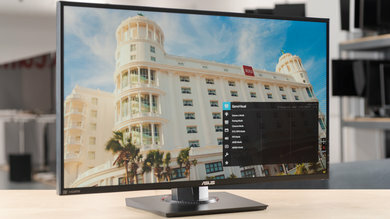 It is the best budget curved monitor that we've tested so far. It has good dark scene performance, thanks to a high native contrast ratio, and it has great reflections handling, although it can't get very bright. 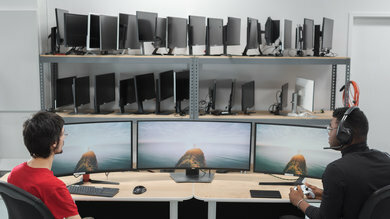 The 27" screen has a more aggressive 1800R curve, which helps compensate for the mediocre viewing angles. 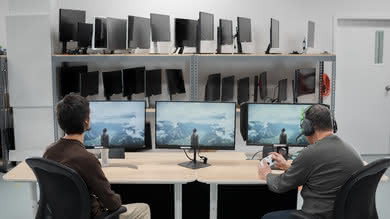 It delivers good gaming performance, thanks to FreeSync support, excellent low input lag, and an excellent response time that delivers clear motion with only a short blur trail behind it. 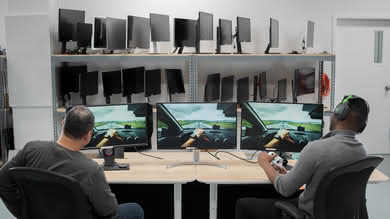 It even supports FreeSync when connected to an NVIDIA graphics card, thanks to NVIDIA's new Adaptive Sync drivers. Unfortunately, the CF398 can't get very bright, and the basic 1080p resolution and 72 Hz refresh rate might disappoint more demanding users. 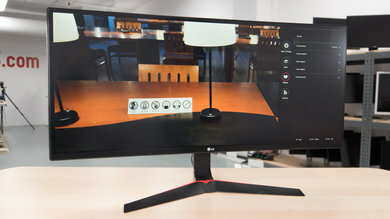 Overall, the CF398 is a good curved monitor for budget shoppers. 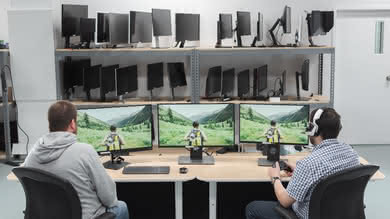 Our recommendations are based on what we think are the best curved monitors currently available. They are adapted to be valid for most people, in each price range. Rating is based on our review, factoring in price and feedback from our visitors.